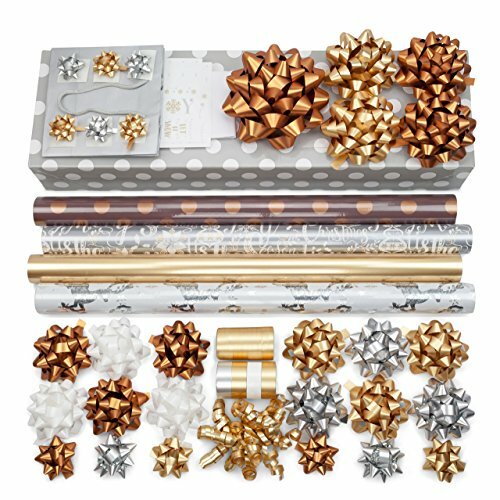 The Gold + Copper + Silver Luxe wrapping paper set is a rich selection of 4 rolls of premium gift wrap with coordinated bows, ribbon, gift bag, tissue paper, and gift tags. This set uses matte gold and matte copper accented with matte and metallic silver, and a touch of snow white. Our gift wrap rolls are 24" wide. 3 rolls are 10 ft long, and the foil roll is 7.5 ft long. There is a total of 75 square feet of gift wrap, and they are printed on heavyweight paper here in the USA. Our gift wrapping sets are hand packed in the midwest to make sure everything is just right! 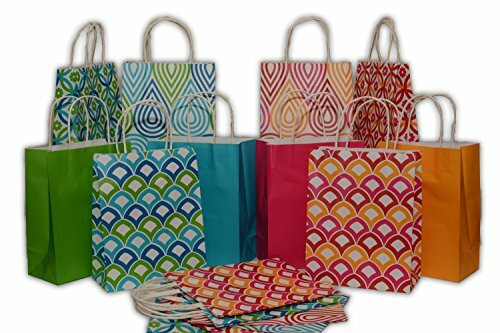 These attractive bags are well made, high-quality Kraft paper, perfect for a variety of uses. Great for gift giving, party favors, and many other occasions. Makes wrapping presents quick and easy. Different colors available. These attractive bags come in assorted colors and designs. 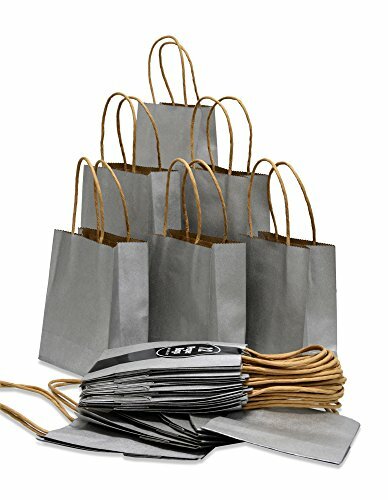 They feature a nice quality sturdy kraft paper bag with twisted paper raffia handles. Great for gift giving, party favors, and many other uses. Makes wrapping presents quick and easy! 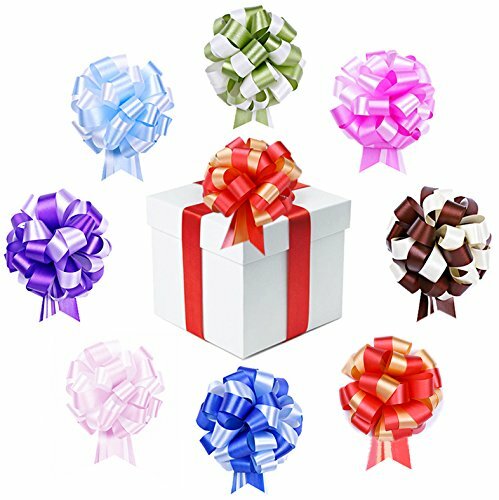 This nice set of pull bows is ideal for Christmas ,Birthday Party, wedding reception, Bridal shower, Valentine's Day, Anniversaries, Graduation celebration, Prom party and decorating table, chair, aisle, church, house, office, car, boat, wine bottles, gift box, gift bags, bike, floral basket arrangement design, themed events, engagements, 4th of July, memorials, soldier welcome home ceremony and more FAST and EASY to assembly, just taking seconds to do, you will have fun to make a lovely pull bow - All you do is pulling the thin inner two ribbon strings to automatically form nine multiple colors, beautiful, fully and fluffy, perfectly shaped bows! These shiny and vibrant color pull bow and ribbons are adorable, affordable and waterproof with high quality guaranteed. 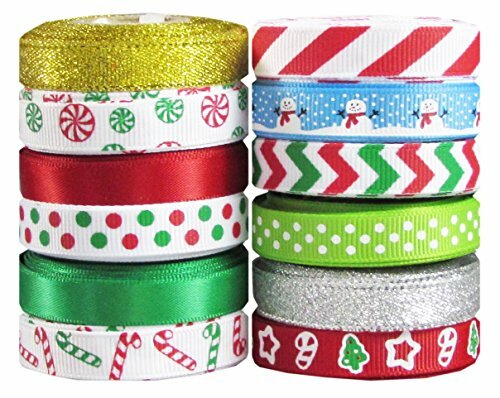 It is made very well and can be reused to save your money, take advantage of sale price and great deal now and buy yours today to dress up an awesome present or craft, prepare any incoming events, big gift wrapping pullbow for christmas and Thanksgiving Our Company provides customers the best service with Fast and Free shipping for the best products and lower price. No need to wrap, just put your presents inside these beautiful Christmas boxes with tissue paper and gift tags. The perfect-sized boxes for lots of different presents. 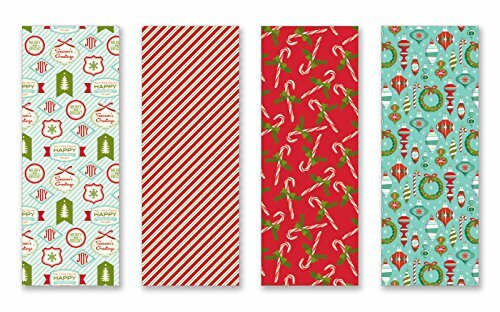 With added Christmas prints, you can skip the wrapping paper! Great for home, boutiques, and gift-wrapping stations in malls and department stores - makes wrapping gifts a snap! Looking for more Christmas Gift Wrap Set similar ideas? Try to explore these searches: Coyotes Logo Hockey Puck, Plan Toy Chalet, and Surgery Girdle. 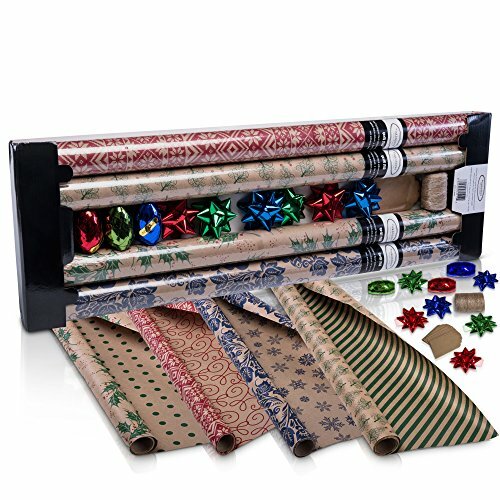 Look at latest related video about Christmas Gift Wrap Set. Shopwizion.com is the smartest way for online shopping: compare prices of leading online shops for best deals around the web. 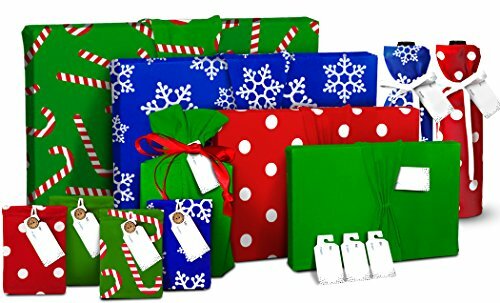 Don't miss TOP Christmas Gift Wrap Set deals, updated daily.